Pyramid T-Shirts! Still only $20.00. 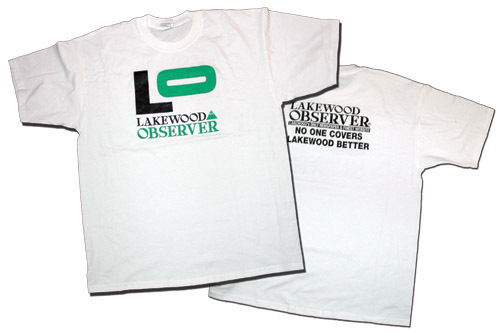 These glow in the dark shirts feature the original logo for The Lakewood Observer Project. Complete with Emerald Canyon, Lake Erie, a boy pondering, an owl, a monkey, and 15 other hidden icons. Available in S through XXXL. Now you or a loved one can wear the same apron as the Lakewood Observer's Master Chef - Cheff Geoff aka Jeff Endress. 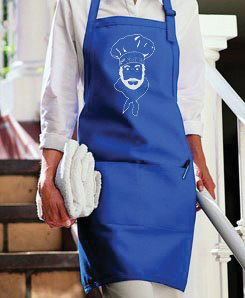 This heavy-duty apron has two pockets, extra-wide strap for comfort and the likeness of Cheff Geoff on the front. One size fits most. Only $15.00. 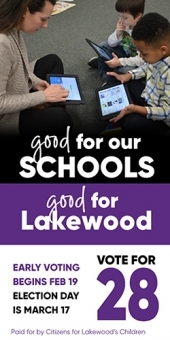 Let everyone know that you live in Lakewood, have vacationed in Lakewood, or just have Lakewood in your heart. Handmade in Lakewood, these vinyl ovals are only available at the Lakewood Public Library. All proceeds go to the Library! 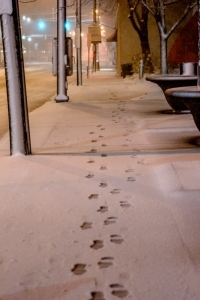 Today's question: Is Lakewood City Hall On The Right Path?